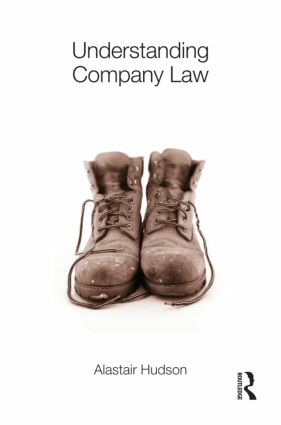 Understanding Company Law is a lively treatment of the key principles of the Companies Act 2006 and modern company law. It takes a unique approach to the subject which also encompasses the important and growing fields of securities regulation, corporate governance and corporate social responsibility. The Companies Act 2006 is　now the largest statute on the books. Company law can be a dry and technical subject. Nevertheless, in Understanding Company Law, Professor Hudson provides a straightforward guide to the law, while providing context, detailed analyses of the leading cases, and no little humour. This book covers all of the key topics which a student reader will encounter in any company law course. The discussion presents the key principles simply before guiding the reader through the more complex issues which are　often the focus of examinations in this subject. It also offers pathways into further reading, while injecting enjoyment back into the topic. It has been written by an accomplished law teacher specifically to enthuse students about this subject. Visit the author’s website at http://www.alastairhudson.com to find podcasts of specially recorded lectures covering the basic principles.